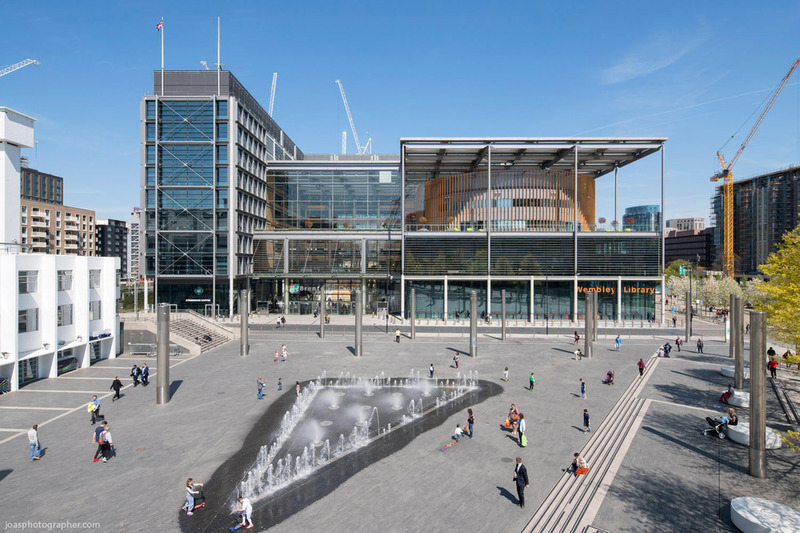 "Located on a prominent site next to two well-known civic icons, Wembley Stadium and Wembley Arena, the new Civic Centre streamlines all aspects of the Council's activities and has become a new hub and heart for the community where residents can meet, shop and eat. It houses Brent's civic, public and administrative functions under one unified roof, providing office space for 2000 staff. The building's spaces are arranged around a soaring, naturally-lit foyer and atrium which houses a large public amphitheatre and staircase that host a programme of high-quality arts and cultural experiences that further enhance the building. A circular Drum clad in timber fins features prominently in this space and houses a multi-purpose community hall, library, one-stop shop and civic chamber. Behind this, glazed office wings are open-plan and flexible to provide a future-proofed solution to the diverse community's administrative needs. 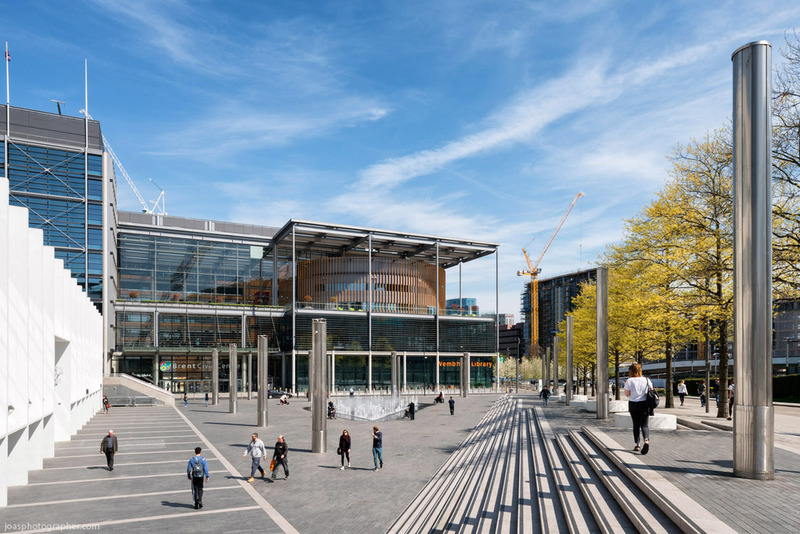 The building also includes space for retail outlets and a landscaped garden to help it to connect further with the surrounding Wembley Regeneration Area. The project has been awarded the coveted BREEAM 'Outstanding' rating, the highest possible, and is the first project in its category to have achieved this. As such, it features a 33% reduction in carbon emissions thanks to a combination of solar shading, natural ventilation, high-performance façade, and combined cooling, heating and power which utilises waste fish oil. It is the most sustainable local authority building to be completed in the UK."